From The New York Times Book Review. January 10, 2015. Illustrated. 292 pp. Princeton University Press. $27.95. "Cowardice" is not quite one of those words, like "honor," whose meaning was once understood by everyone but is now understood by almost no one. Yet its meaning has lately become more elusive. Are suicide bombers "cowardly," as we are so often assured they are, or insanely courageous? Is it more cowardly to refuse to fight or to fight for fear of being called a coward for not fighting? Some people claim to have the answers to such questions about this once familiar and unproblematic subject, but they tend to disagree. There is no consensus as to who is a coward and who is not — or even about whether the question is one of any importance. Cowardice, whatever it means, must seem a matter of individual choice, like everything else, and the implied judgment made by the term probably requires that we decline to use it at all. 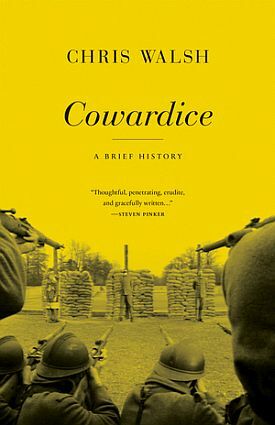 Chris Walsh, an associate director of the College of Arts and Sciences Writing Program at Boston University, purports to offer a historical investigation of the subject in "Cowardice: A Brief History," but his book is much more of a social and cultural survey of attitudes toward cowardice during various periods of American history. The limitation, by and large, to American examples is presumably for the sake of keeping the book to a manageable size and the brief history briefer rather than longer, but the lack of foreign comparisons obscures what distinguishes the American attitude from that of the old European honor culture. The book can be seen as a kind of extended footnote to William Ian Miller’s "The Mystery of Courage" (2000), and it has some of the same problems, not least a tendency to mystification. Miller’s book is one of Walsh’s central texts — along with Stephen Crane’s "The Red Badge of Courage," James Jones’s "The Thin Red Line" and a sermon titled "The Curse of Cowardice," delivered in Hanover, Va., by Samuel Davies in 1758 to recruit soldiers for the French and Indian War. These Walsh keeps coming back to after ranging further afield among an impressive array of primary sources. But then, for a subject like cowardice, nearly all the sources are primary. Perhaps the most important thing we learn from this book comes from its very existence. Ours could be the first time and place in which cowardice has been thought a subject worthy of academic study. Near the beginning, we find a Google graph showing that the word is much less used today than it was 200 or even 100 years ago. The decline is a steady one until shortly after the beginning of the present century, when there is a small but unmistakable uptick. The author is surely right to say that this is owing to popular debate about terrorism since 9/11, but I wonder if the graph for "honor," "courage," "virtue" or any other words that now sound "judgmental" would not describe a similar pattern. The book’s "working definition" of a coward, naturally hedged with numerous qualifications, is "someone who, because of excessive fear, fails to do what he is supposed to do." "Excessive" begs the question. What makes this fear excessive? The fact that it provokes cowardice — which is then defined by the excessive fear. But it bespeaks a definitional need to probe within, to find the coward’s true feelings in order to authenticate his cowardice. Does he have "excessive" fear? Yes? Then he’s a proper coward instead of, presumably, only pretending to be one. But surely it is one definition of a coward, and perhaps a better one to be working with, that it is something no one ever pretends to be. By contrast, courage is often pretended — perhaps so often as to approach always — which is what makes it so much more rewarding as a subject for study. If the mask is fascinating because of what it hides, what it hides is mere fear, which is rather lacking in nuance. What is there to say about it once it has been named? A quick survey of books with "fear" in their titles suggests that all are written for the purpose of dismissing or getting rid of it. Giving way to fear, which is what the coward does, is more interesting, however, because of its public dimension, since it is the rare act of cowardice that entirely escapes public observation. The coward emulates the writer or analyst (or vice versa), by bringing into the light of day that which belongs to the shadowiest realm of the psyche. About Henry Fleming, the problematic hero of "The Red Badge of Courage," Walsh has this to say: "When he thinks that having made his ‘mistakes in the dark’ meant that he was still a man, the implication is that any sin so thoroughly a matter of social perception is no sin at all." It is not really as sin that Henry sees his own act of cowardice; rather it is as a potential cause for (public) shame. If it is also a sin, that does not concern him: only the prospect of being known as cowardly. This is in the nature of the thing. We all care more about being publicly acknowledged as sinners than about committing sins in the first place, but cowardice is itself nearly always a public acknowledgment. Or at least that is the traditional way to look at it. 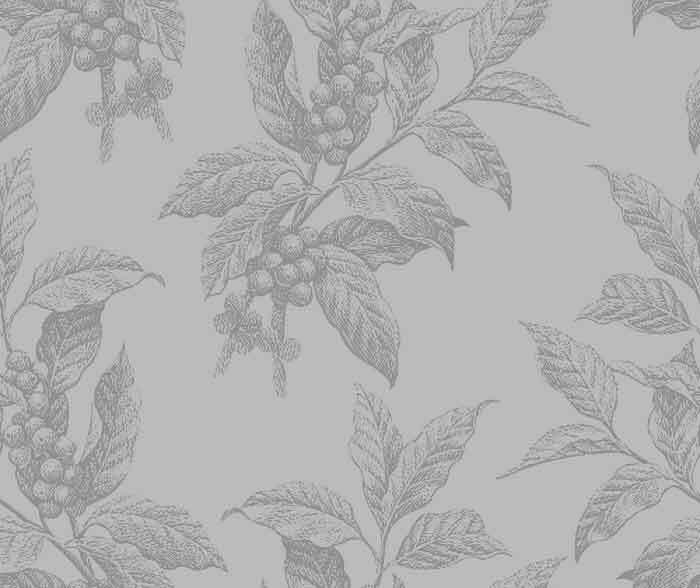 Part of Walsh’s purpose is to tease us with the idea that maybe there is more to it than that. Maybe bravery itself conceals a kind of cowardice. Of the scene in which Henry runs from battle so desperately that, if you didn’t know the direction of his flight, you wouldn’t know if he was charging or fleeing, Walsh writes: "Cowardice and courage become merely arbitrary names we give to physiological reactions to environmental conditions." At least that’s what the coward tells himself! There is a similar definitional problem with "duty," to which the book devotes a chapter. "Examining specific mentions of ‘duty’ in relation to cowardice," we read, "suggests an increasingly common understanding that duty is trivial, absurd or downright pernicious." This is no doubt true, but of course such things could only be said in a context of denial that the duty in question is a duty at all. What seems dubious, logically, is retaining the idea of duty while disparaging it in such terms. Or is it? Maybe, just as there could be said to be a cowardly shadow to someone who acts courageously because he is afraid to be a coward, so there is also a kind of ghostly dutifulness in someone who takes on the duty of defying the very idea of duty. This kind of thinking seems to me oversubtle, a backhanded way of justifying bad behavior. But insofar as there is a demand for a book on cowardice from a reputable university press, it must be because a sizable contingent of people will not think of it in this way. For whatever reason, we want to be told that the standards by which people used to be judged have to be re-examined — as cowardice has been in the last century, mainly on therapeutic grounds — if not abolished altogether. Those who are interested in such standards, whether pro or con, will find this book an indispensable addition to their libraries.